Michael Fassbender is an Irish actor who won a British Independent Film Award for his performance as IRA activist Bobby Sands in the British-Irish historical film Hunger. He landed significant roles in films such as Fish Tank, Inglourious Basterds, A Dangerous Method, and Prometheus. He went on to play supervillain Magneto in X-Men: First Class, X-Men: Days of Future Past, and X-Men: Apocalypse. The actor was nominated for Academy Award for portraying the title character in the Danny Boyle-directed biopic Steve Jobs. Michael Fassbender was born on April 2, 1977, in Heidelberg, Baden-Württemberg, West Germany. He is currently 42 years old. Michael was born to a German father, Josef, and an Irish mother, Adele. His father worked as a chef in a restaurant called West End house. He has an older sister named Catherine Fassbender who is a Neuropsychologist. He was educated at the Fossa National School, and later attended St. Brendan’s College (The Sem) in Killarney, County Kerry, Ireland. He then moved to London where she studied at the Drama Centre London but dropped out in the midway to focus on his acting career. Michael Fassbender is married to Swedish actress Alicia Vikander. She is best known for her Oscar-winning performance as Gerda Wegener in “The Danish Girl”. They both started seeing each other in 2014 after they met at the Toronto International Film Festival. The two even acted together in a movie called “The Light Between Oceans” in 2016. The couple got married on October 14, 2017, in a private wedding ceremony in Ibiza, Spain. They are believed to be residing in Lisbon, Portugal and they don’t have any kids yet. Talking about his love life, he has had a fair share of affairs with many women, mostly his co-stars, before he was married to Vikander. He was in a short-lived relationship with actress Sunawin Leasi Andrews from 2009 until 2010 and went on to date his X-Men: First Class co-star Zoe Kravitz in 2010. In 2012, the actor began dating actress Nicole Beharie, his co-star in Shame but that relationship also didn’t last long. It ended in 2013. Michael was rumored to be dating model Madalina Diana Ghenea and Louise Hazel in 2013. The actor was romantically linked up with English model, Naomi Campbell, the following year. Michael Fassbender made his feature film debut with the 2006 American fantasy action adventure film, 300. He played the role of Stelios, one of the Spartan warriors in the film, which is based on the 1998 comic series of the same name by Frank Miller and Lynn Varley. Fassbender landed his first acting gig on television with a guest starring role as Burton Christenson in the 2001 American war drama miniseries, Band of Brothers. He got his first major break with the 2011 superhero film X-Men: First Class, in which he played his part as supervillan Erik Lehnsherr / Magneto. He won the Spotlight Award from ‘National Board of Review Awards and Best Actor award from Los Angeles Film Critics Association Awards for his stunning performance in the film. He reprised his role in its sequel X-Men: Days of Future Past (2014) and sequel X-Men: Apocalypse (2016). Fassbender’s portrayal of Edwin Epps in the 2013 film “12 Years a Slave” was one of the most significant roles in his acting career. A role that earned him his first Academy Award nomination for Best Supporting Actor. In 2015, he played the role of late American business tycoon, founder and former CEO of Apple, Steve Jobs, in the 2015 biographical drama film “Steve Jobs”. He earned his second Academy Award nomination for his role, this time for Best Actor. Some of his other remarkable works include, playing his part as Counselor in the 2013 crime thriller “The Counselor”, Macbeth in the 2015 British-French film tragedy “Macbeth” and the 2015 British/New Zealand action western film “Slow West” as Silas Selleck. Fassbender has an estimated net worth of $30 million. According to Home and Property, the Assassin’s Creed actor bought a gorgeous home on the hilltop of Alfama in Lisbon for £1.7 million. The lavish estate includes a private garden terrace, a swimming pool with all the bells and whistles overlooking the Tagus River. He also owns an exquisite flat in London. Although he was born in German, he was raised in Ireland. His parents moved to the Irish town of Killarney, County Kerry, when he was two years old. He had a Catholic upbringing, and served as an altar boy at the church his family attended. He developed an interest for acting at age 17 when he was cast in a play by Donal Courtney and decided to become an actor someday. His first film audition was for the role of Rafe Cawley in Pearl Harbor which was later played by Ben Affleck. He worked in bars and in a London warehouse before fame to supplement in acting needs. Fassbender’s got his start in acting when he made his TV screen debut in Tom Hanks and Steven Spielberg’s award-winning television TV series Band of Brothers in 2001. He is fluent in both German and English. He lost 33 pounds for his role as Irish hunger striker Bobby Sands in the 2008 film Hunger by taking berries, nuts, and sardines diet. In 2012, he was included in Time Out’s “100 Most Influential People of 2012” list. He is a member of the Hospital Club. 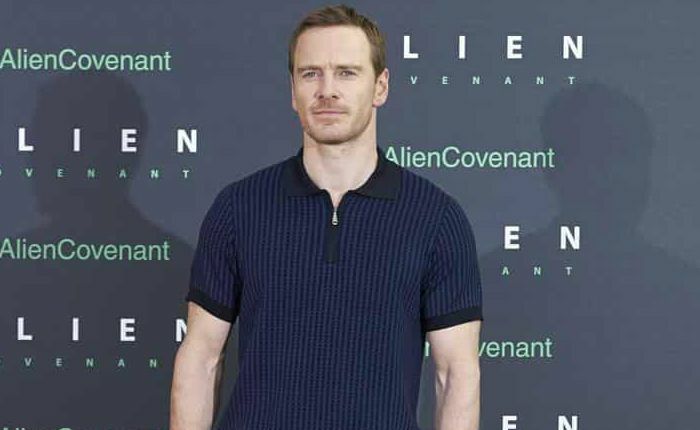 In 2010, Fassbender’s then ex-girlfriend, Sunawin Andrews, filed a restraining order against him in Los Angeles County Superior Court, alleging that he “threw me over a chair breaking my nose” in 2009, and that he had also dragged her alongside his car, injuring her ankle and knee, as well as causing her to burst an ovarian cyst. He was named #8 on Empire Online list of the “100 Sexiest Movie Stars” in 2013. Micheal is close friends with X-Men co-star James McAvoy and Steve McQueen. He was supposed to play the role of the vampire Adam in the 2013 film Only Lovers Left Alive but was replaced by Tom Hiddleston after he opted out of the project.